Are you thinking of adding a Shih Tzu to your family? If so, you might want to consider rehoming an adult dog, rather than buying a puppy. There is an urgent need for people to adopt dogs from shelters and rescues. The ASPCA estimates around 3.3 million dogs enter shelters each year, and less than half of these are adopted. Sadly, over 650,00 dogs are euthanized each year. 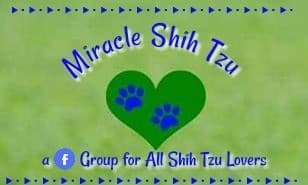 It’s true that Shih Tzus are less likely to be found in a shelter than other breeds. The most common breeds that require rehoming in the US are American Pit Bull Terriers, followed by Labrador Retrievers and Chihuahuas. There are still thousands of Shih Tzus available for rehoming though. The breed’s wonderful temperament has made them a popular companion but has also increased the number given up or found as strays. Here are five reasons why rehoming Shih Tzu can be a great idea. Why Should You Adopt a Shih Tzu from a Shelter? Many euthanized dogs have existing issues, such as aggression, illness or injury. These dogs are never likely to find a new home, unfortunately. There are also millions of dogs that could make wonderful pets though. Thousands of these are euthanized because there isn’t enough space or funding to care for them all. Whenever you rehome a dog, you could be saving its life. Even if the dog was likely to be adopted anyway, or you adopt from a no-kill shelter, you’re freeing up space for another animal. There’s a common misconception that all dogs in shelters or rescues have serious behavioral issues. This simply isn’t true. Some dogs are given up due to behavioral problems, but others are there because of a change in their owner’s circumstances. Many dogs are given up just because their owner couldn’t be bothered to look after them anymore. For this reason, there is an abundance of kind, loving and affectionate dogs waiting to be rehomed - and thousands of them are Shih Tzus. Not only that, but a responsible shelter or rescue will do behavioral assessments before rehoming their dogs. Common tests include whether the dog can live with dogs, cats or children. 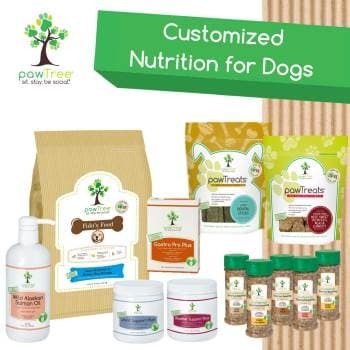 This makes it easy to pick a dog that suits your lifestyle. The demand for Shih Tzus can make them an expensive option as a puppy. They are worth it, of course, but rehoming an adult Shih Tzu could be a cheaper option. Shelters and rescues charge an adoption fee, but this is much less than buying a puppy. The fee is reinvested in helping future dogs, so you know it’s going to a good cause. 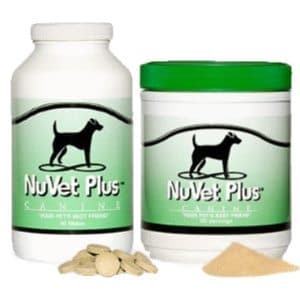 Many adult dogs have also been spayed, neutered or microchipped, which saves money on vet bills. Make sure you check which procedures and vaccinations your dog needs before you commit though. Of course, you’ll still have all the regular costs of getting a dog, such as a crate, food, beds, and walking equipment. If you plan on grooming your Shih Tzu at home, you’ll also need extra tools, such as clippers (TheDogClinic.com has a list of the best options), a slicker brush and a finishing comb. Overall, adopting an older dog is the cheaper option though. Many prospective pet parents worry whether it’s possible to build a strong bond with an older pet - especially compared to raising a puppy. The good news is that older dogs are just as capable of loving their new owners. It can take time to build trust - the dog may have been through some tough times - but, given time, the parent/dog relationship becomes just as strong. This is particularly true of Shih Tzu, who are a loving and affectionate breed. Many wonderful dogs are also ignored because of their age. People focus on the youngest dogs, which can make it difficult for older Shih Tzus to find a new home. This means there are often plenty of amazing dogs available if you’re willing to adopt an older companion. Raising a puppy can be a wonderful experience - but it’s also tiring! Puppies have almost endless energy and can find trouble in the most unlikely places. This means you need to be watching your puppy whenever he’s not confined. You also need to take your pet outside every 1-2 hours so it can learn housetraining despite having a tiny bladder. If you’re hoping for a calmer dog when your puppy grows up, why not rehome an adult dog? They can still be trained, yet are much less energetic than a puppy. As a bonus, some adult dogs already know basic commands and may even be housetrained. Again, this is something you should discuss with the shelter, as not all rehomed dogs are trained. Is Rehoming Right for Everyone? With millions of dogs waiting to be rehomed, there are pets in shelters and rescues that are suitable for almost every situation. That doesn’t mean rehoming a dog is always the right option though. Older dogs are more likely to suffer from health issues, so be prepared to spend more on insurance and medication. This is partly offset by many older dogs not needing to be spayed, neutered or microchipped though. And all dogs need medical care eventually - getting a puppy just delays these costs. People with young children may feel more comfortable raising a puppy, as you have control over the crucial socialization period between 7 weeks and 4 months. No dog should be left alone with young children, but there is often more uncertainty about the background of a dog that’s up for adoption. A good shelter should be able to advise you whether a dog is suitable for children though. It’s also important to point out that there are responsible Shih Tzu breeders. If you have your heart set on a puppy, just make sure you avoid puppy mills or unscrupulous breeders. Shih Tzus are an affectionate and loving breed, so it’s no surprise they are amongst the most popular in the US (#20 according to the AKC). The downside to this popularity is that there are thousands of Shih Tzus in rescue centers and shelters. These dogs might be older, but they can still make brilliant pets. 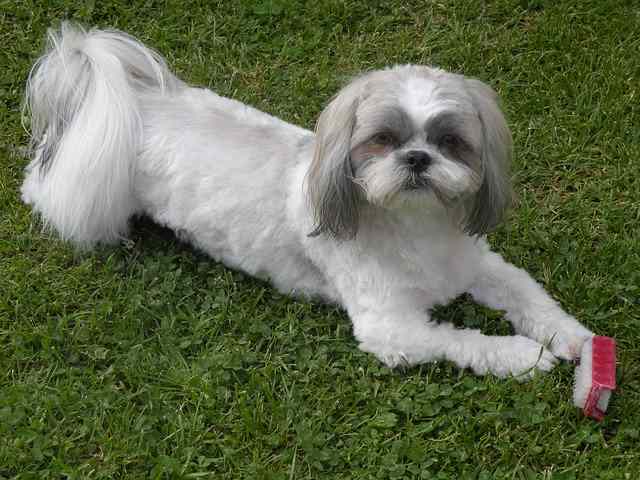 They are also cheaper and calmer than a puppy, so rehoming an adult Shih Tzu can often be a great choice.